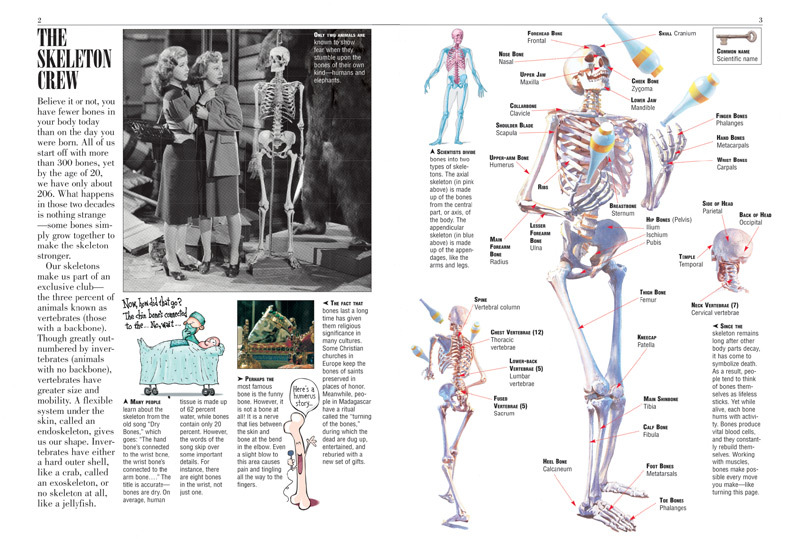 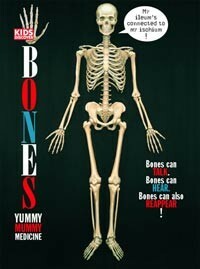 Time to bone up on the human skeleton, kids! 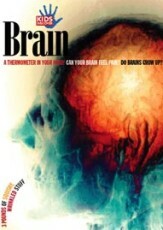 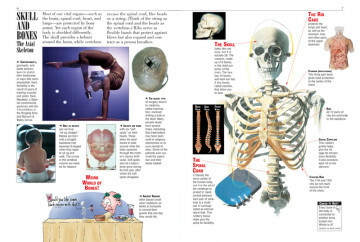 So how exactly does this fragile internal structure that keeps us upright and keeps our head on our shoulders operate? 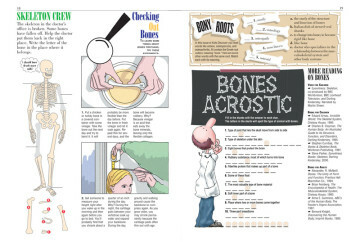 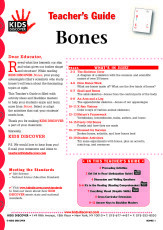 First things first: in Bones, kids will be surprised to learn that by the time they’re 20, they will have almost a hundred fewer bones than when they were born. 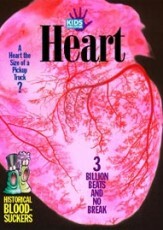 (Read this issue to find out why!) 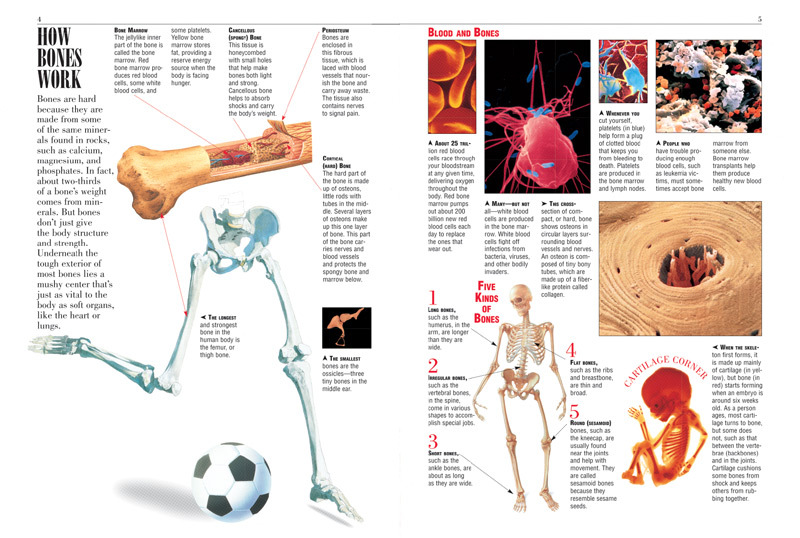 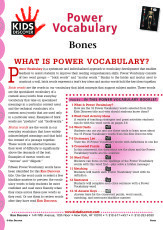 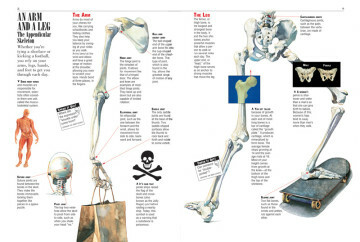 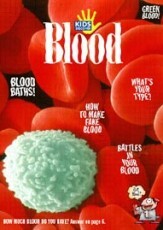 They’ll also find out what bones have in common with rocks, and read about the five types of bones and what they do; among other things, some help make blood, some protect nerves, and some help keep our organs in place. The human skeleton, for kids, gets the full run-down here; they’ll learn about the axial skeleton, which includes the all-important spinal cord, and the appendicular one, which makes up the bones of our limbs. 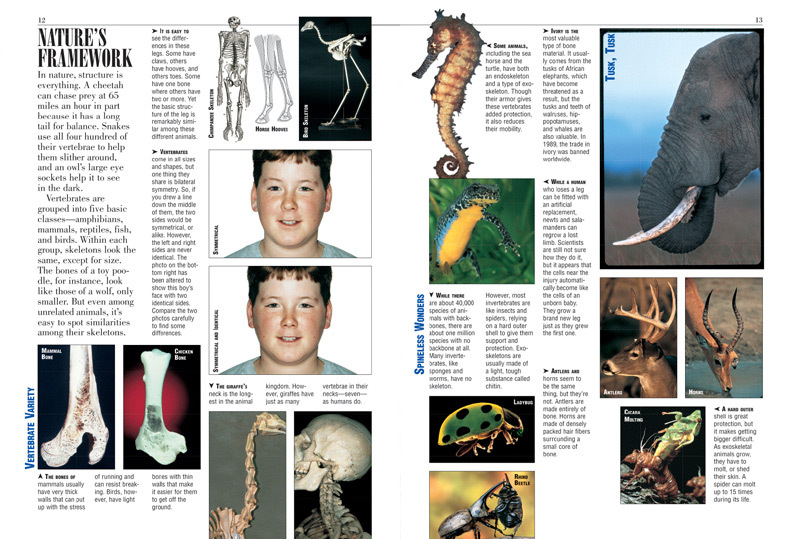 Moving on to the animal world, kids will enjoy reading about how salamanders can grow back missing limbs, and why antlers are bones, but horns are not. 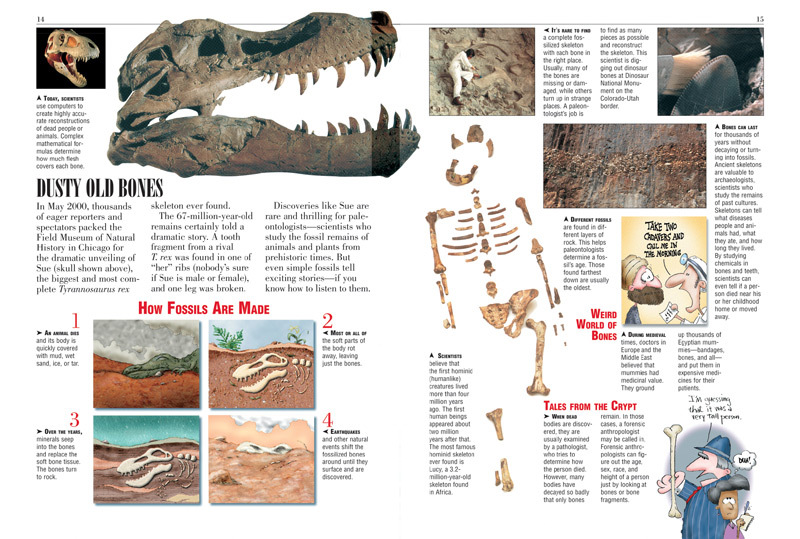 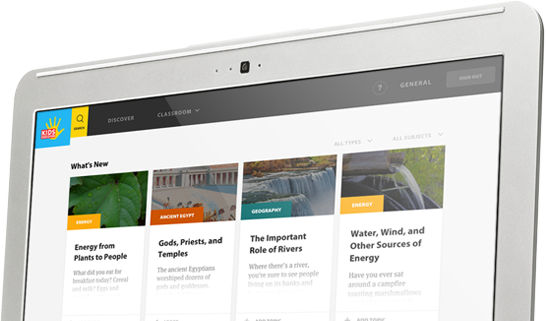 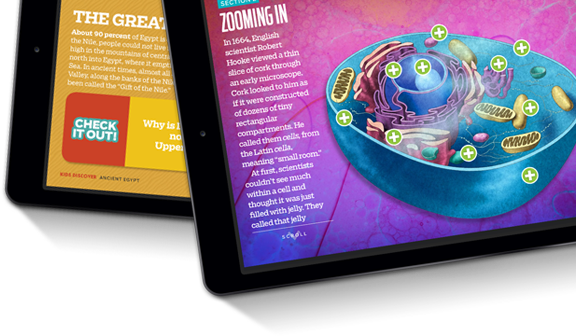 They’ll be intrigued by diagrams showing how fossils are made, and be surprised to find out that ancient Egyptians used ground-up mummies in medicines. 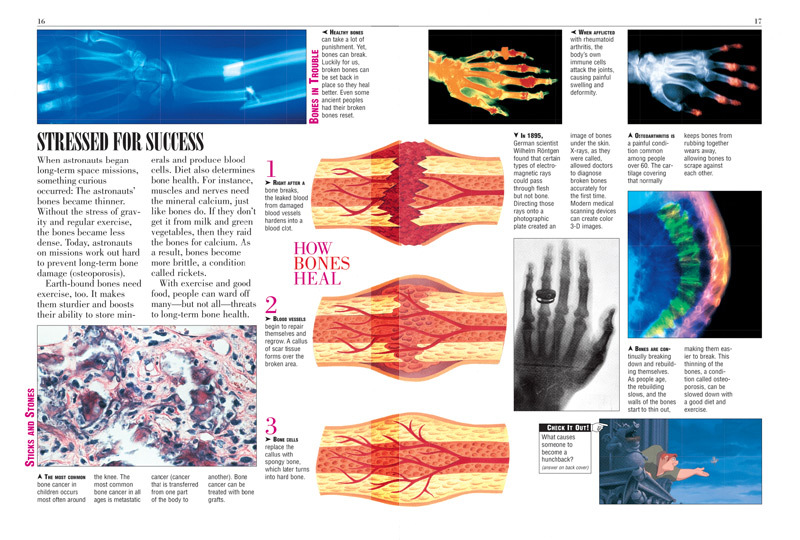 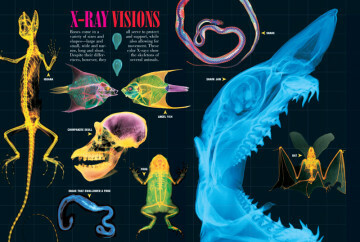 Wrapping things up is a section describing bone maladies and the healing process of the human skeleton; for kids curious about X-rays, there are also some great images of hands and animal skeletons that reveal these incredible structures in colorful detail.